MELVILLE, N.Y., August 2, 2017 – Canon U.S.A. Inc., a leader in digital imaging solutions, today announced three new additions to its portfolio of Canon Image Stabilized Binoculars with the 14×32 IS, 12×32 IS and 10×32 IS. 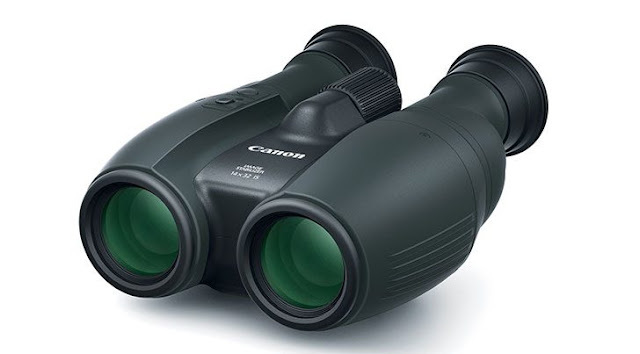 While all current Canon binoculars are equipped with an image stabilization (IS) function, new to these binocular models is Lens Shift Image Stabilization Technology. The IS technology, found in Canon EF lenses, allows users to see an even sharper image by moving the IS lens to correct optical axis. This technology incorporates a vibration gyro mechanism that assists in canceling out the effects of user-shake or movement.